How do we get better at driving campaigns that focus on target accounts? How do we get better at working regionally in accounts to focus on that? How do we get better at measuring those things so that everything we do drives around a strategy that drives performance? Where are you putting focus in building systems that can directly track marketing's effectiveness and impact on the sales pipeline? What cadence do you use to make adjustments? How often are you looking at those results? How often are you making changes to your execution? 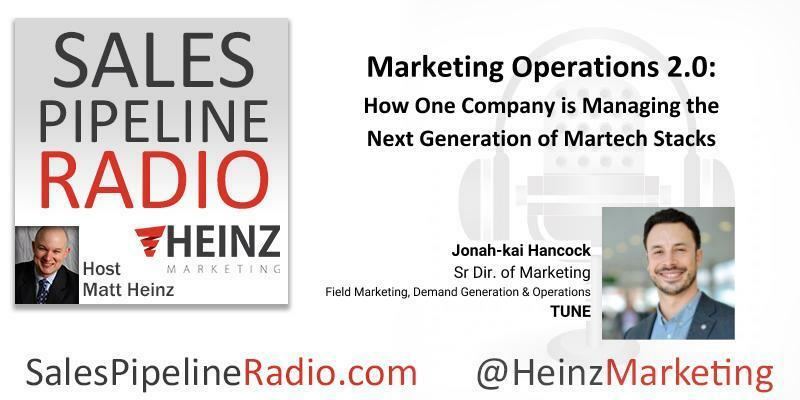 Read the transcript of this episode on the Heinz Marketing Blog starting Mon. 3/26/18.